August is the month in which I’ve read more books this year. I’ve tried to spend less time on social media and more immersed in books and it seems it’s been the best idea I’ve had recently. I’ve read a total of six books —four in the span of 15 days. I had very high expectations about this book and they were not met. I was disappointed. I did get the metaphors and some paragraphs gave good ‘advice’ but I really didn’t like the writing style or the plot. This was weird but good weird (?). I'm not sure I understood it completely but it was beautifully written. Probably shouldn't have read it before reading The Kingkiller Chronicle series but I think it doesn't spoil anything. It was a good (extremely) short read. Not gonna lie, I just read it because I was so far behind my Goodreads challenge. “Whatever you've heard about Caraval, it doesn't compare to the reality. It's more than just a game or a performance. It's the closest you'll ever find to magic in this world.” Unlike with The Alchemist, this book did meet my high expectations. It was enchanting and totally different from what I imagine it would be like (in a good way). What I like about this book is that it also plays with the reader, in the sense that in some way you are also a participant of Caraval, you know things at the same time as the main character, Scarlett. It’s not one of those books in which you’re yelling at the characters for not seeing what’s in front of their eyes. I also adored the writing style, because it had a magical/fairytale tone to it. Now I can only hope they decide to make a movie because damn that would be beautiful, if they do it right, of course. I had read the previous books a while ago and so I just HAD to read the last installment of the series before the Netflix movie of the first book came out. Despite being a contemporary about a teenager, I enjoyed the read. Lara Jean is quite a relatable character (I found that I related to her a lot in the film as well, even if it was a bit different from the first book). Can’t say much of the story without spoiling it for you but read the first one and you’ll be hooked. Lara Jean writes love letters when she has a huge crush on a guy, she writes them for herself but what happens when one day, those letters get sent? Well, Lara Jean’s life turns upside down. This is a book loved by A LOT of people so please, do not kill me for what I’m going to say. I did not like it. Sure I could relate to some of the poems and I do not regret reading it but I just really didn’t have fun reading it, I felt like I was just reading it thinking when will this end. It is not a bad book, it just wasn’t the right one for me. I was expecting a lot more, because the poems I liked, are the ones I had already seen. That being said, I do appreciate the honesty of the writer. Some of the things she wrote about are not easy things to talk about so that was brave. I stayed up until 2am one night to read this. This is a book that I started reading last summer but I stopped since at the time, the chapter I read was quite overwhelming. But I picked it up one night this August and I didn’t stop until I finished it. I cried and I laughed. 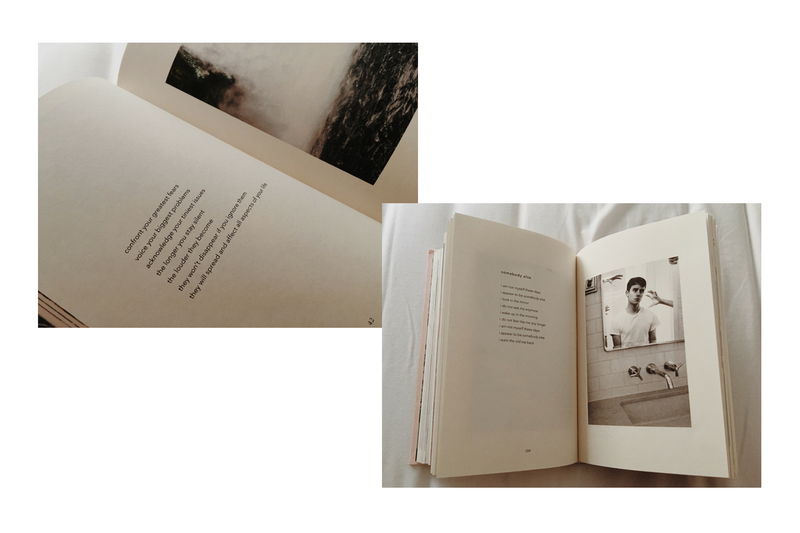 This collection of essays, poems and aesthetically pleasing photographs really resonated with me. I must thank Connor for his honest and raw writing about depression, anxiety and life struggles and fears. It was inspiring in a way. As someone with social anxiety, I think I just felt less alone, understood. It felt as if a friend was talking to me and telling me that eventually, things do get better. And I believed it. These are all the books I’ve read in August. Now I’m planning my September TBR, not an easy task, my friends.